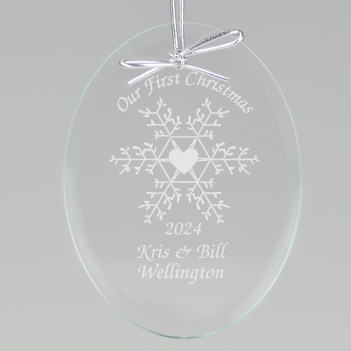 The Our First Christmas Snowflake Keepsake Ornament is the perfect gift for a newlywed couple. 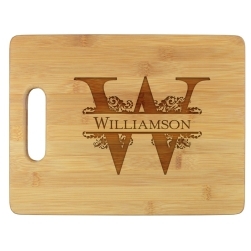 Or use it as a gift tag for a more lavish present. 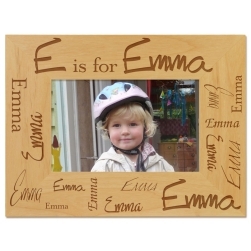 It offers 2 lines of text and year in a choice of 5 popular lettering styles. 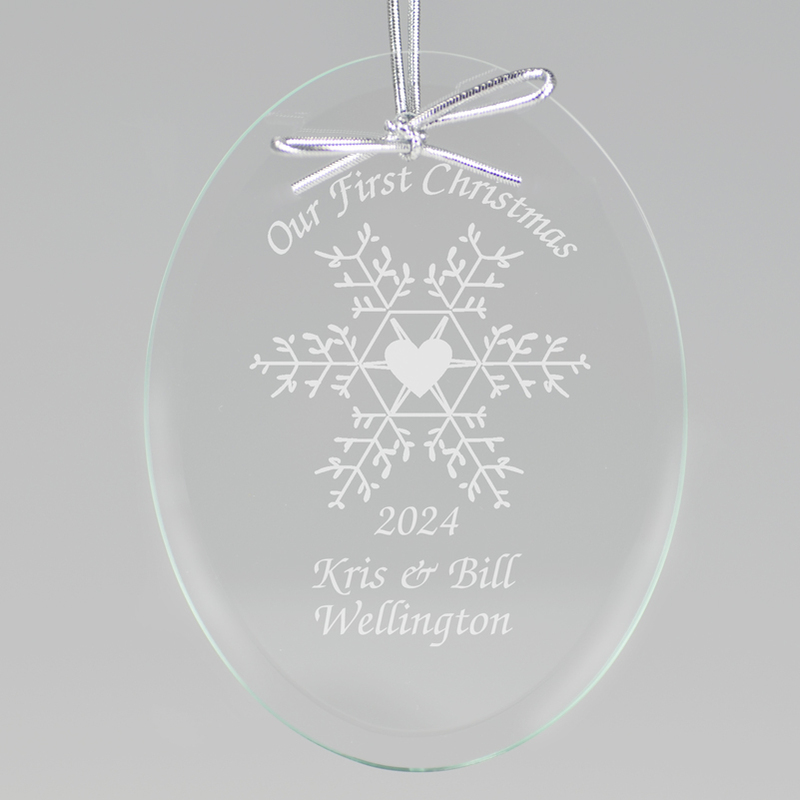 Beautifully laser-engraved into clear jade glass, this ornament will stand the test of time. 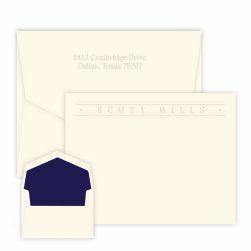 As with all of our personalized keepsake ornaments, it includes an attractive silver ribbon and black velvet pouch for safe keeping.